If you're looking to upgrade to a newer car, make sure you look into the 2019 Kia K900 luxury sedan. Kia meets and surpasses quality and safety standards consistently, and the new K900 holds true to what you have come to expect from Kia. 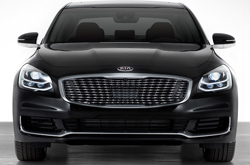 Which Features are Available in the 2019 Kia K900? You will be amazed at the new features and extras available with the VIP package for the 2019 Kia K900. Not only do you get the standard features you already love and depend on, they have added some great new options. You get ventilated, heated or cooled, and power adjustable seats in both the front and the rear, as well as a wireless charging system for the rear so you will not have cords crossing your car from front to back. They have also added a front passenger chauffeur seat switch and a tri-zone climate control to keep everyone in your car comfortable, no matter their temperature preference. More features you will love are the 17 strategically placed speakers, the hands-free connectivity, and the improved smart device integration. 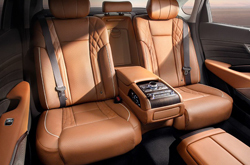 You also get genuine wood panel inserts in the doors and console, leather upholstery, and four way lumbar support for both the driver and the passenger. The Kia K900 Has The "Horses"
You will love the 2019 K900 for many reasons, including the horsepower! Not only does this new year model have 365 hp at 6,000 RPM, you get at least 18 miles to the gallon for city driving and a phenomenal 25 miles per gallon on the highway! The engine is a V6, 3.3 liter power house with a Sportmatic transmission and a 19.8 gallon capacity. Not only can you fill the tank but you can open it up on the highway and let those horses have their head. Of course you know that safety is paramount in any vehicle, and the 2019 Kia K900 does not disappoint. The number and placement of the airbags are truly innovative, with not only front, side, and rear impact airbags but also knee and overhead airbags. You get traction control, four wheel ABS disc brakes and enhanced electronic stability. For security, you can count on an ignition disable system as well as a panic alarm and a state of the art security system. You will have the confidence you deserve behind the wheel of the K900 thanks to some of the other amazing features, like the configurable front and rear parking sensors, the exterior parking cameras with a surround view monitor and the forward collision avoidance mitigation. There are so many great features in the 2019 Kia K900, you just have to see it for yourself. 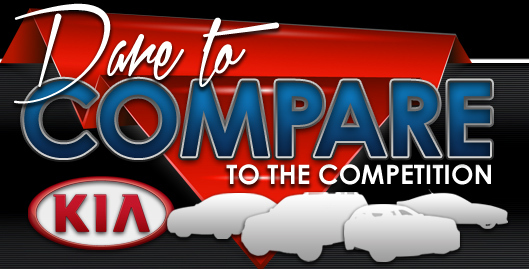 Visit Camelback Kia to take a test drive.